Planning to buy the highly successful Honda Activa 4G? Read on to know five great features about this best-selling gearless scooter. Honda Activa 4G is a highly successful and popular gearless scooter which doesn’t need any introduction in the Indian two-wheeler market today. With over 2.5 lac units selling every month, the Honda Activa brand has proven its success, respect and popularity amongst the Indian buyers. It should be noted that the Honda Activa 4G is the largest selling two-wheeler in India as well as in the world, which is quite interesting. The gearless scooter segment enjoys 35% share of the Indian two-wheeler market, where the 110cc motor cycle has a share of 36%, which is very close to the share of gearless scooters. The Activa 4G highly dominates in the segment of gearless scooters. It was first launched in 2001, and you would be surprised to know that Honda has sold more than 1.5 crore units of Activa till last reported. No other gearless scooter is going to break this record very soon. Honda Activa 4G is one of the best gearless scooters available in India today, while its rivals like Hero Maestro Edge, TVS Jupiter and Yamaha Fascino are trying their best to create a difference. Let’s have a close look at the top 5 features of Honda Activa 4G. Honda 2 Wheelers is a renowned name in the Indian automobile industry. Ever since its separation from Hero, the people at Honda 2 Wheelers have tried hard to mark their individual identity in the Indian market. They have launched some of the most successful and best-selling two-wheelers in the market, including Honda CB Shine, Unicorn, Dream and the very well-known Activa Series n India. And today, Honda is offering a very tough time to Hero MotoCorp and Bajaj, which once were industry leaders. The after-sales support, spare part availability and service center support offered by Honda is just amazing, and you don’t have to worry about this at all. The Honda Activa 4G is powered by a 109cc, single-cylinder engine that churns 8bhp of maximum power at 7,500rpm and 9NM of torque at 5,500rpm. This BSIV engine is coupled with a V-matic CVT transmission for hassle free riding experience in the traffic. This super refined engine gives a quick response as soon as you throttle it. The Activa 4G can touch the top speed mark of 83kmph, as per the company officials. Looking for a fuel-efficient two-wheeler? The Honda Activa 4G claims a fuel mileage of 60kmpl as per the ARAI ratings. This suggests that you can reach 318km with a full tank of petrol before stopping. However, these figures are on papers only. With an actual mileage between 50-55kmpl, the 5.3-litres of fuel tank capacity has a range of 270-275 kms once filled completely. The Honda Activa 4G is great in terms of features as well. Other than mobile charging socket, auto-headlamp on and under seat storage, the Activa 4G also features Honda’s patented combi-brake technology with equalizer. This advanced braking technology applies both, the front brake and the rear brake, once the rider pulls the brake lever. This ensures that the rider doesn’t skid in emergency braking situations, and it also reduces stopping distances. 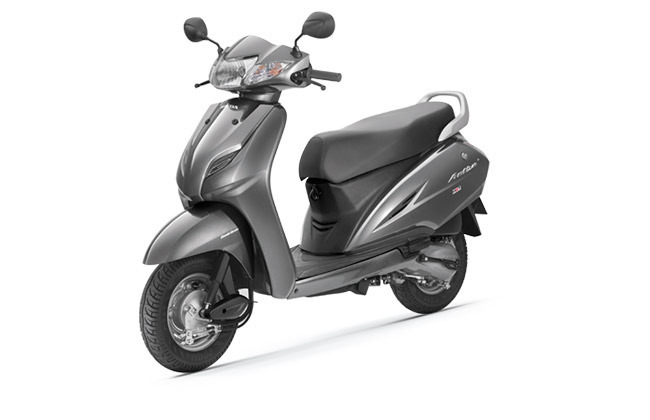 The Honda Activa 4G can be bought for Rs.50, 730 (Ex-showroom, New Delhi), and is available in only one variant. At its asking price tag, the Honda Activa 4G is a total value for money deal. Do you think we missed an important feature of Honda Activa 4G? Do share it in the comment section given below.